All about Assam Teacher Eligibility Test (Assam TET) ✓ Notification ✓ Application Form ✓ Syllabus ✓ Admit Card ✓ Eligibility ✓ Question Papers ✓ Sample Papers ✓ Answer Key ✓ Exam Date ✓ Exam Pattern ✓ Cut-off Marks ✓ Preparation Tips for the post Siksha Mitras (SM) and Additional Siksha Mitras (ASM) examination to be held in 2019. Candidates interested in appearing for the exam should apply only through online process from official website of Assam TET i.e. www.tetassam.com or www.ssaassam.gov.in. The Government has Decided to Conduct The Assam Teachers Eligibility Test – Assam TET 2019 Exam Once Again in the Current year to help more Number of Candidates to Apply for Assam TET 2019 The State Government has announced the TET Assam 2019 Latest Schedule now. a) Candidate must be a permanent resident of Assam. i) Senior/Higher Secondary (or its equivalent) with at least 50 % marks and 2 year Diploma in Elementary Education (by whatever name known). ii) Senior Secondary (or its equivalent) with at least 45% marks with 2 year Diploma in Elementary Education (by whatever name known) in accordance with the NCTE (recognition Norms and Procedure) Regulations, 2002.
iii) Senior Secondary (or its equivalent) with at least 50 % marks with 4-year Bachelor in Elementary Education (B.El.Ed). iv) Senior Secondary (or its equivalent) with at least 50 % marks with 2-year Diploma in Education (Special Education). v)Graduation from any UGC recognised University and 2 year Diploma in Elementary Education (irrespective of marks obtained in graduation). With regard to candidates having graduation degree, the minimum percentage of marks specified above at + 2 stage Senior secondary /higher Secondary will not be required. Ministry of Human Resource & Development (MHRD) has relaxed professional qualification till 31.03.2019. However, any Assam TET 2014 qualified candidate appointed as a teacher must acquire the required professional qualification as laid down by NCTE compulsorily before the prescribed date. A fee of Rs. 500/- is required to be paid by all intending candidates. Intending candidates whose names are uploaded in the official website of TET. 1. A person who scores 60% or more in the Assam-TET examination will be considered ‘Assam TET passed’ or ‘A-TET qualified’. This will be the qualifying marks for all categories. Matters of State, National and International importance, Political and Economic developments, Culture, Art, Literature, Games, Sports, Scientific and Technological advancements, etc. ✓ Educational Psychology- Its Meaning and Nature: Application of Educational Psychology in the classroom. ✓ Intelligence- concept and nature: Individual differences in intelligence, creativity. ✓ Dimensions of Development during Adolescence- physical, intellectual, social, emotional and moral. ✓ Emotional problems in the classroom. ✓ Understanding Developmental Hazards during adolescence. Candidates will be able to download their Admit Card before the two weeks of the exam. Candidates are requested to visit the same website to download their Admit Card For Assam Teacher Eligibility Test (Assam TET) Exam 2019. 1:- Log on to the official website www.tetassam.com. 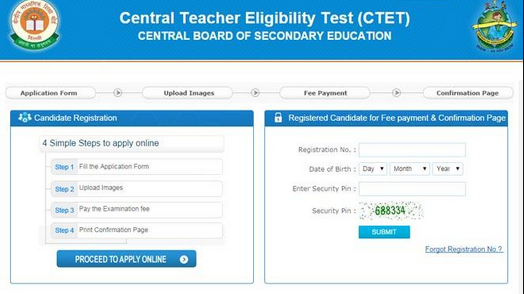 STEP#01: Log on to official website of Assam TET. to apply online for Assam TET. STEP#04: Fill and edit Assam TET 2019 online application form. is 2year elementary course mandatory by any candidate ? Can a 4 years gratuate apply for tet like B.Pharma ?